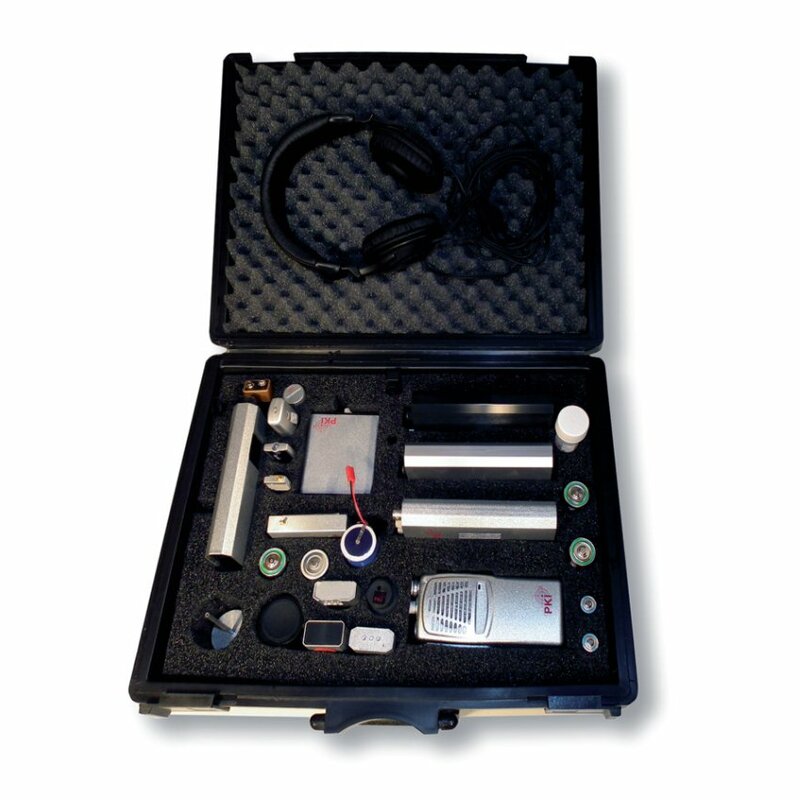 With the PKI 5470, you have all components for camouflaged remote audio-visual surveillance with you in a compact and inconspicuous carrying case. Audio/video surveillance with radio transmission camouflaged as smoke detectors, miniature cameras for mobile monitoring camouflaged as a tie, handbag, ball pen or even in a wrist watch leave nothing to be desired thanks to wireless communication. 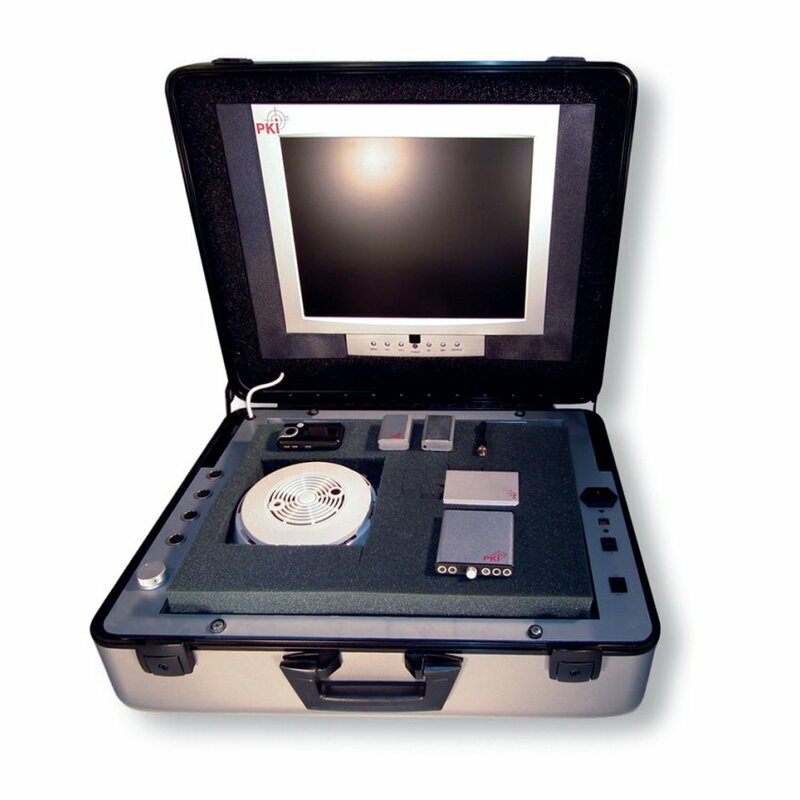 By means of the 10″ screen integrated into the carrying case, the pictures received via the highly sensitive digital audio/video receiver can be immediately watched live. But the recording possibilities of the digital receiver also allow a later evaluation of the material obtained. In case radio transmission is not realisable, there is another audio/video recorder included for the wired version. This extremely small device can be directly placed on the body or also camouflaged in a room. Miscellaneous accoessories to camouflage cameras and microphones, such as tie, buttons, waistbelts, baseball caps, smoke detectors, etc. With these individual components, you can realise a wide variety of application scenarios in the field of audio-visual surveillance. However, this combination assorted as a result of practical experience can also be changed on request.